How Does Baltimore Plan on Celebrating Halloween? Halloween is just around the corner, and Baltimore is getting ready to partake in the festivities. With a variety of ways to observe the popular fall holiday, we wanted to know how the members of our community will be celebrating the occasion. After surveying 577 Baltimoreans, we’ve found that our community should have little trouble satisfying a sweet tooth, as candy will be in abundance. 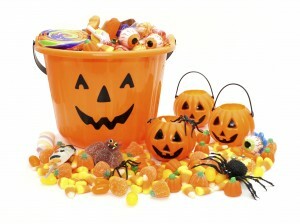 Over forty-four percent (44.71%) of people surveyed determined that they will be handing out candy on Friday night, whereas nearly one-fifth (19.06%) of the community will be trick-or-treating. While trick-or-treating is the traditional observation of Halloween, there are many people in Baltimore that will be taking a different approach. Almost one-fourth (22.7%) of respondents have opted to party or celebrate with friends. Baltimoreans have also determined that this Halloween can be a smash – a graveyard smash – without smashing their wallets. We asked the community how much money they anticipate spending on popular Halloween items (decorations, costumes, candy, party supplies, other), and it is clear we can embrace the holiday without extravagant spending. The greatest number of respondents, in every category except candy, said that they would spend less than $5 on each item. Candy spending will cost a bit more, as over 50% expect to spend between $10 and $30. We can expect to see a few decadent costumes, however, as 22 people foresee spending over $100! We would like that thank the people who participated in our survey. Have a happy Halloween, and embrace the holiday magic. This entry was posted on Wednesday, October 29th, 2014 at 6:11 pm. Both comments and pings are currently closed.